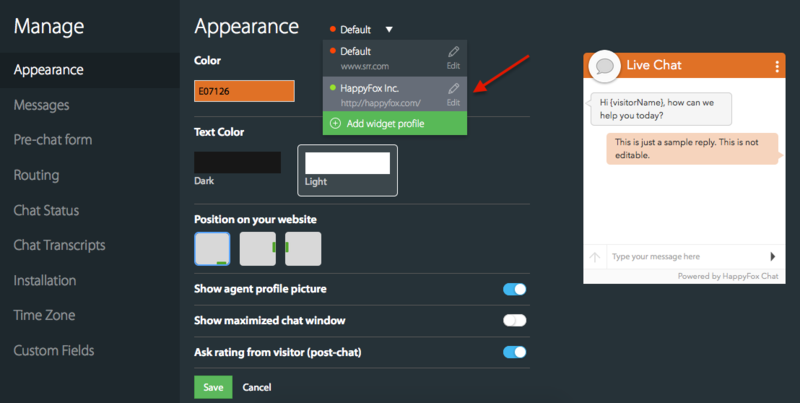 Multi-widget profile feature allows you to customize chat widgets on 3 or more websites and manage chats from all your websites under a single HappyFox Chat account. You can customize look and feel of each chat widget. 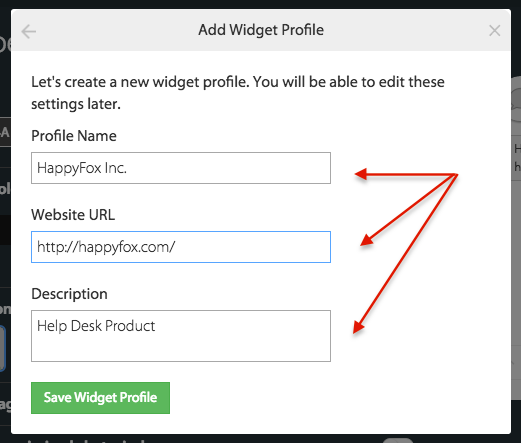 Only admin users will be able to add widget profiles. 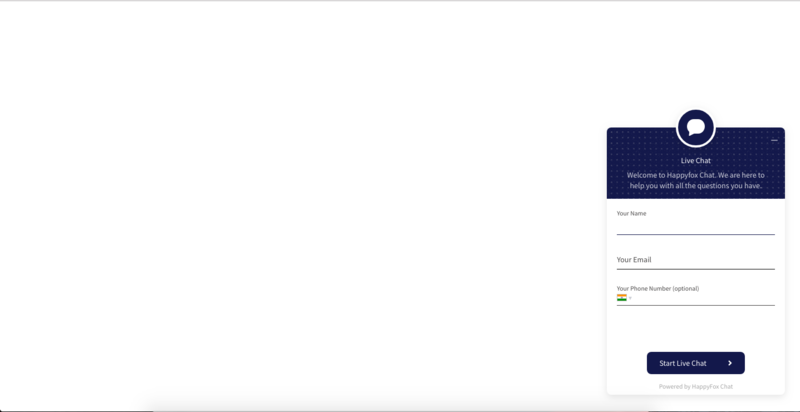 Adding a widget profile will not install the widget on the website. Ensure that the correct widget is installed on your website. How to add a new widget profile? 1. Login to HappyFox Chat account. 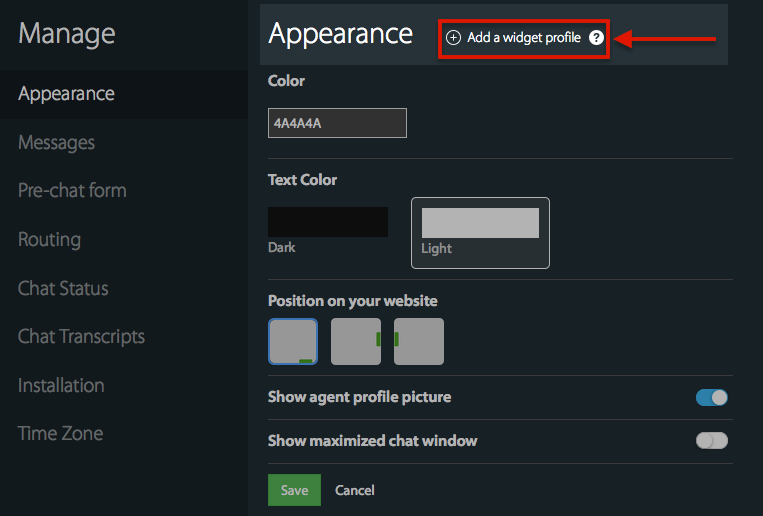 Go to Manage > Appearance > Click Add a widget profile button. 2. Enter the required details and hit Save Widget Profile button. 3. Click Done or Add another Widget Profile button. 4. Now go to Manage tab > click Installation, copy the code for the corresponding site by clicking on the widget profile drop-down. 5. Paste this installation code to the corresponding website's source code, above the </body> tag and HappyFox Chat widget will be installed. 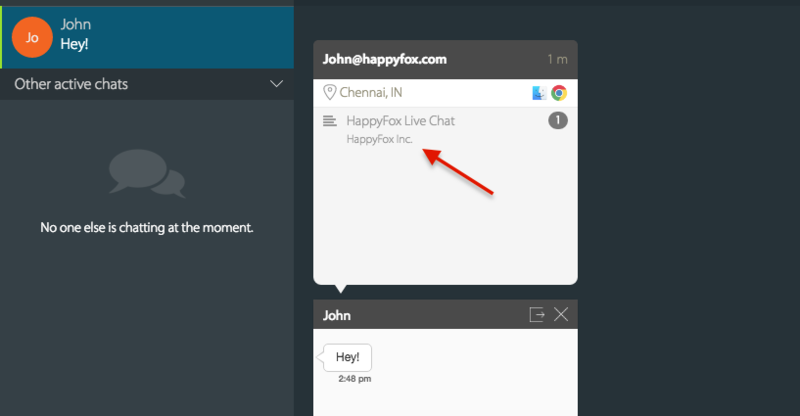 You can just click on the Profile name on the drop down, to make the customizations (Appearance, Widget Content, Pre-chat form settings, Language, Time Zone, Chat Status, Transcript email id) and click Save. 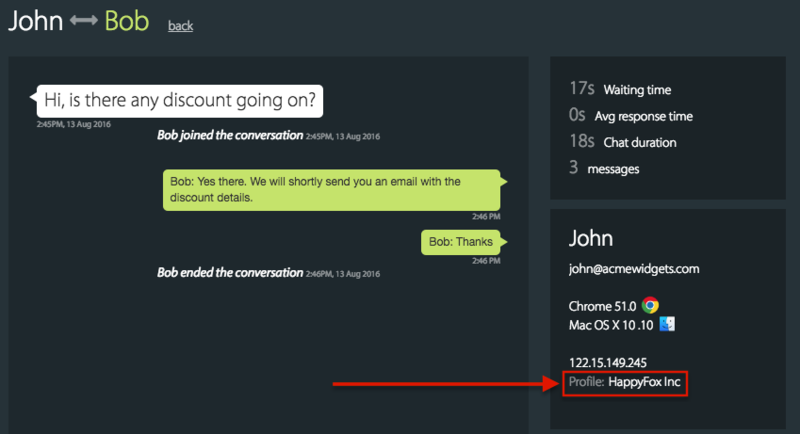 On the incoming chat notification, you will see the profile name which indicates the website from which the customer started chat. Once the chat is accepted, the Profile name will be displayed in the chat window. Under Chat History, for finished chats and offline messages profile name will be displayed. When you delete a widget profile, the corresponding installation code will be deprecated or it won't work. If you want to add the widget to a new website or again the same website you need to add a new widget profile and the copy-paste the new installation code.